Among the two or three hundred substitute teachers that Pueblo welcomes every school year, very few can boast that they have published a book, attended the legendary Woodstock Music Festival in 1969 and dress better than most of our contract teachers. Ms. Diane Donato is definitely difficult to miss. She loves fashion—her fashion—and she wears it well. 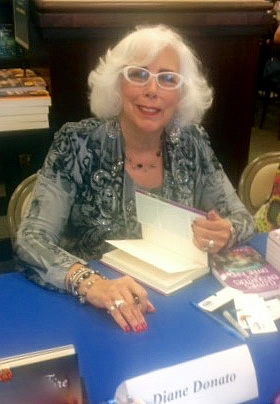 Donato feels so strongly about clothing and fashion that she based her published book, Clothes Encounters of the Divine Kind, on the premise that what she wears has made—and continues to make—a colossal difference in her own spiritual awakening and that her attire has helped her to “heal” from a series of personal tragedies in her past. Raised in Waterbury, Conn., Donato said that she grew up “a free spirit”. After graduating high school in 1967, she attended college and was among the millions of young people protesting the Vietnam War. She added that she “took a break” in the middle of her college years in August 1969 to attend the Woodstock Music and Art Festival in upstate New York—known today as simply “Woodstock”—where nearly half a million people rejoiced in their generation’s greatest musical artists. After a lot of cold winters and expensive real estate, Donato ventured to Arizona at age 65, a few years after she retired. 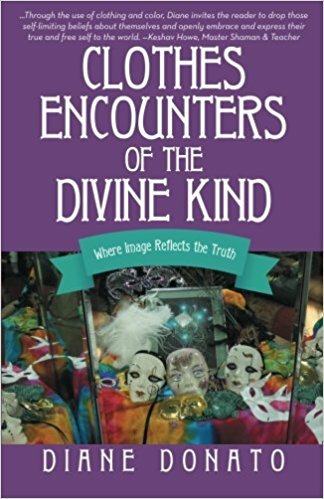 Donato’s book, Clothes Encounters of the Divine Kind, is available at Barnes and Noble or online at Amazon in both soft and hard covers.